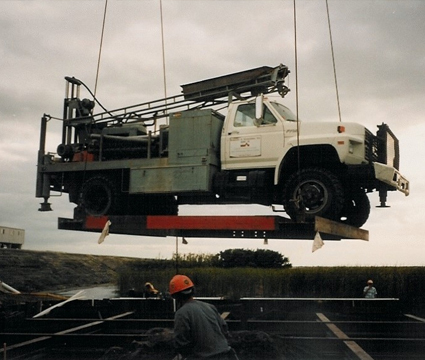 Ardaman & Associates, Inc. conceived an alternative construction sequence and designed an associated dewatering system to excavate and construct an intake structure for a major power plant. The design consisted of a unique and innovative dewatering system designed to facilitate construction within the cooling plan by allowing it to proceed “in the dry.” The dewatering effort encompassed a deep excavation within an active cooling pond and was complicated by the complex interaction of a porous limestone layer, a deeper semi-confining clay layer and restrictions on allowable drawdown on the site. The client’s needs were well met in that the alternate construction sequence allowed the critical path excavation to be completed early and below budget. The structure was completed 27 days ahead of a very aggressive schedule. 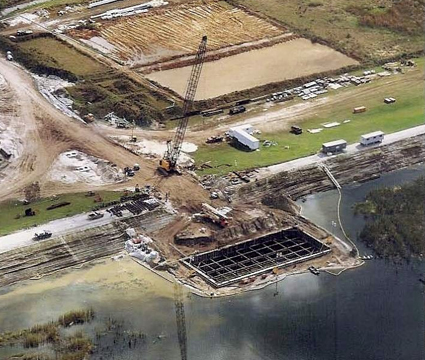 The project was selected for an Grand Award by the Florida Institute of Consulting Engineers as part of their Engineering Excellence Awards program.